The dedication of a local park was an early sign of a life committed to service. Vicki Patryla is nearly 50 years removed from her time as a student, but her name will likely live on in Kirksville forever. She is the name behind the town’s Patryla Park, an honor bestowed on her at the ripe old age of 24. A native of St. Louis, Patryla (Pa-TRY-la) quickly felt a connection to her college home. As a cheerleader and member of what is now known as the Residence Hall Association, Patryla (’69, ’70) was active on campus. She was also very committed to service in the community, particularly in regard to children. She routinely worked with kids in the residential area then known as Pickler Park, and saw a need to outfit the space with amenities for children. To help make the spot family friendly, she called on Campus Volunteers, an organization she created, to secure financial donations from local businesses and clubs. After Patryla earned her master’s degree, much of the project was turned over to Campus Volunteers. By 1971, after years of work, the area officially became Kirksville’s sixth public park. Located on Decker Road, and tucked in behind Spur Pond, it was christened Patryla Park in honor of the young woman who put the entire plan in motion. Patryla was brought to tears when she received a letter notifying her of the designation. Throughout her childhood, those around Patryla instilled three important points in her: faith in God, belief in others and belief in oneself. While she may have already been on track to lead a life of service, she credits her work with the park in Kirksville for adding fuel to her fire. Following her time at the University, Patryla earned a degree from the University of Leeds in England, where she studied on a Rotary International Scholarship, and she received her Ph.D. in special education from St. Louis University. Her career has been varied, but service has been at the core. She has taught education at six colleges in five states, often focusing on people with disabilities or special needs. Her efforts do not stop with the classroom. Patryla has served in administrative positions related to community outreach with no fewer than four non-profit organizations or corporations, and her charitable endeavors have led her to several countries. In addition to children and the disabled, she has poured her heart into causes for the elderly, veterans, international citizens and the mentally ill, among others. After enough selfless acts, it can be difficult to avoid the spotlight. Over the years, Patryla’s efforts have earned praise from both sides of the political aisle. She has received letters of recognition from former Sen. Max Cleland and President Bill Clinton, to name a few, and her work with veterans garnered a call from a staff member for President Barack Obama. Organizations that have shown gratitude for her work include the March of Dimes, the Veterans Administration and the Salvation Army. While it’s nice to be appreciated, Patryla is not motivated by earning distinctions to pad her resume. 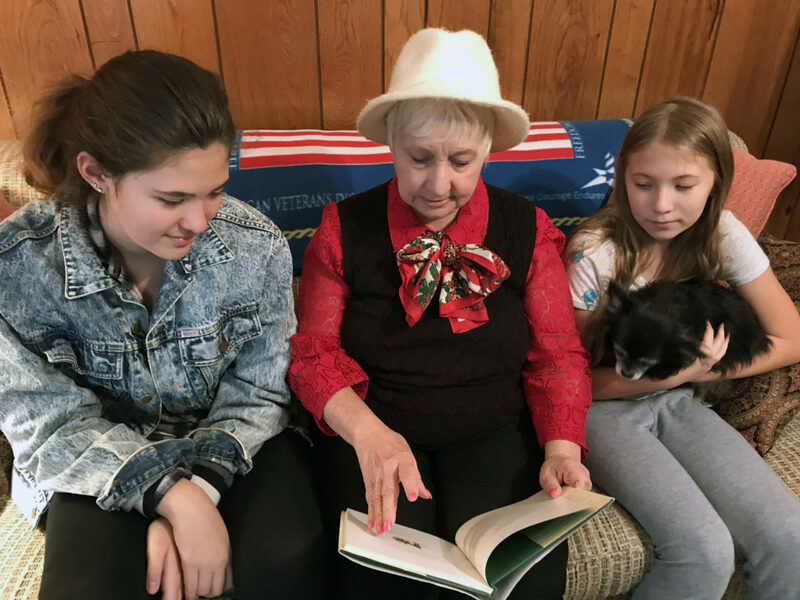 Patryla is retired and now makes her home in Lilburn, Ga.
Patryla continues to volunteer her time for veterans and children like Madison, left, and Megan. Rich and Melissa Chapman came to Kirksville in search of an education. They ended up finding a home. As students, Rich and Melissa (Davis) Chapman approached Truman from different directions, both literally and figuratively. 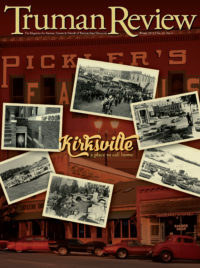 After growing up in the small town of Camp Point, Ill., Rich felt like Kirksville was the big city. For Melissa, who hails from the Kansas City suburb of Blue Springs, Mo., moving to a rural area for school was a bit of a culture shock. It worked out well for both of them, and the benefits it has reaped for Kirksville are nearly incalculable. For most alumni, Kirksville is a multiyear pit stop in their lives. They come to northeast Missouri – sometimes reluctantly – to get an education. Most move on after graduation and have quaint memories of their college town. However, a number of graduates like the Chapmans end up realizing Kirksville is more than just a great place to go to school, it’s a great place to live. Both are teachers in the Kirksville School District, but they took noticeably different paths to get there. Melissa (’00, ’02) participated in the MAE program after earning her degree in English. She completed her internship in Novinger, Mo., and continued to teach fifth grade in that school for three years before moving to Ray Miller Elementary in Kirksville. After 12 years there, she made the short trip over to William Matthew Middle School where she currently teaches sixth grade math and reading. Upon earning his degree in psychology, Rich (’98) was a truancy officer in Quincy, Ill., for two years before returning to Kirksville to work at the Bruce Normile Juvenile Justice Center. After several years, he switched over to become a special education teacher and earned a master’s degree from the University of Missouri–St. Louis. 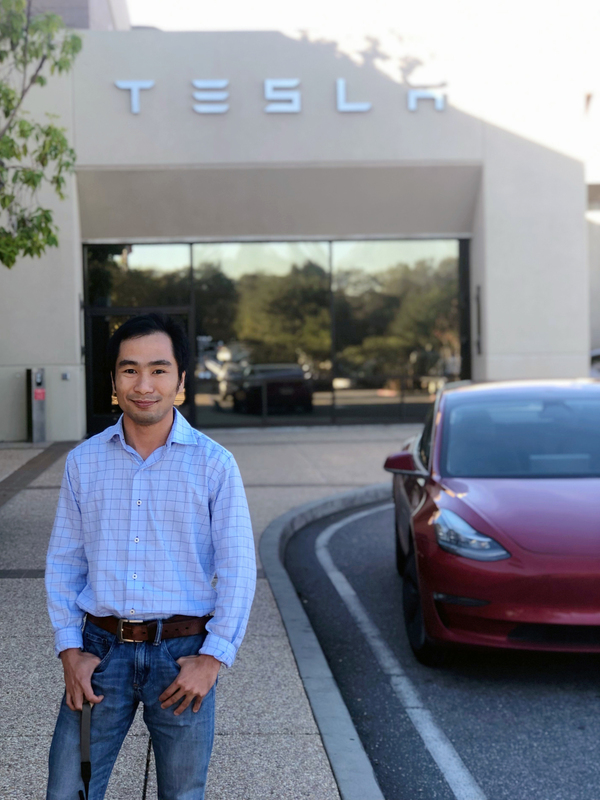 He later transitioned to the Project Lead the Way Engineering Program, and he now teaches engineering to high school students at the Kirksville Area Technical School. 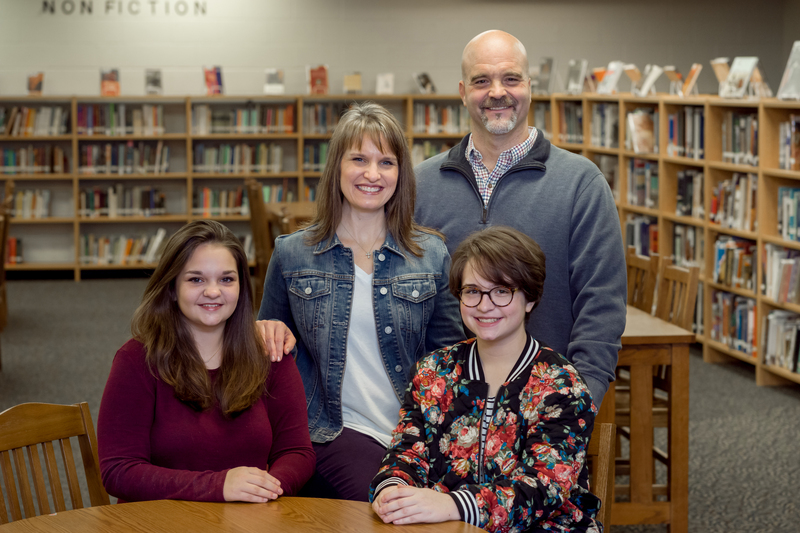 The Chapmans have now been residents of Kirksville more than four times longer than they were students, and they have become ingrained in the community. Their two daughters, Olivia and Julia, are involved in a number of activities. Rich has been a coach for football and golf at Kirksville, and cheerleading at Truman. They have even helped to increase the population of town by convincing Melissa’s parents to relocate to Kirksville. Without a doubt, the family’s biggest impact has come in the form of a 5K run/walk they have put on for the past seven years in support of diabetes research. The Inspire 1 for JDRF event is the Chapman’s response to Julia’s diagnosis of type 1 diabetes. When Julia was six, she saw a news story about a child who started a race to raise money for the Juvenile Diabetes Research Foundation and wanted to sponsor her own. It has been a family endeavor ever since. The annual event usually includes about 150 runners and has raised a total of more than $53,000. “After the first year, we had such an outpouring of support from our community, we knew then that we had made the correct decision to make Kirksville our home,” Melissa said.